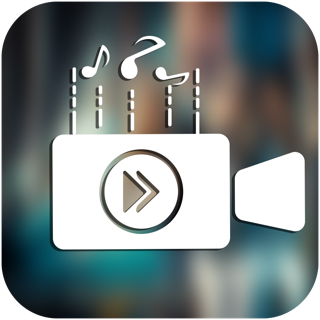 Add Music to Video is the most advanced video editing app on the App Store. Make your everyday videos more exciting by adding background music or voice-overs to your video. 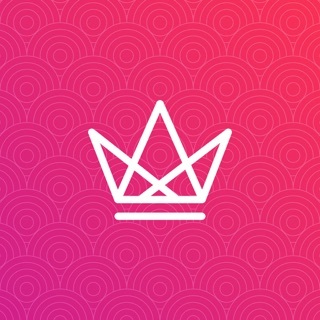 Create music videos for Facebook, Messenger, Instagram, Snapchat, or YouTube. Join the community of millions of people who trust and use our creative services for fast, powerful, and easy video editing on the go. • 10,000+ royalty free music from 50 different music genres. • Add unlimited background music to your video. • Add music to your photos & make slideshow. • Add your own recordings or voice-overs. • Import music directly from Apple Music. • Trim Video: Remove any unwanted part of a video. • Trim Audio: Cut any unwanted part of an audio. • Premium Filters: Unique filters for your video. • Combine Videos: Edit, reposition & combine multiple videos. • Track Positioning: Precisely reposition your audio for a perfect result. • Save & Share: Save your video & share it with friends on social media. • Select your video form the gallery. • Select a background music from the built-in music library or your music gallery. • Trim the video or the audio as per your need. • Add filters to the edited video. • Save the video in your gallery or share with friends on social media. • With an Add Music to Video subscription, you have access to all features and paid content including 10,000+ music, filter packages etc. Watermark and advertisements will be removed with the start of your subscription. • Premium subscription is billed weekly or monthly at the rate corresponding to the selected plan. In addition, a one-time payment is also offered if needed, which is not one of the subscription plan. • We currently offer the following subscription: USD $2.99/week & USD $9.99/Month. Follow us on Instagram @addmusictovideo to get featured! Follow us on Facebook @addmusictovideos to get instant updates on our apps! Got any queries? Feel free to write us at addmusictovideo@appnap.io and we will get back to you as soon as possible. Please leave a review on the App Store if you love using the app. We can not wait to hear from you and appreciate your support. © Copyright 2019 Appnap Ltd. All Rights Reserved. It’s been a while since I’m using this video editor to add background music, audio & recording to my videos and it has been so far a great experience. The user interface is very simple and easy to use. The only negative side of this app is that it doesn’t let me save GIF photos. Other than that it is really unique with the music collection and genres. I can easily see myself using this app over the coming days as well. Keep it up! So I’ve been using this app for fun, stupid edits. They let you use your own music which is good, and they have some royalty-free tracks, but you have to buy everything to unlock them all. I also tried to add music to my video and whenever I clicked something, it automatically took me to a pop up that said “please give us 5 stars, and leave a review” so here I am. It was a bit frustrating, and there are also several ads, but overall it’s decent app. The concept of this app is great, but even though it says I can use my own music it won't let me. So I'm limited to the 5 or 6 tracks that are unlocked... I upgraded to the $4.99 version but it still won't work and I'm still limited to just a handful of tracks. I've contacted them about this multiple times but they stopped responding and it still doesn't work like it's supposed to. I wish I could use my own music like they say is possible, but since I can't I'm giving this app a 2 star review. Enjoy all the premium features and content.